This year has been nothing short of amazing. From finishing the Boston Marathon (…in a monsoon…), to our wedding and honeymoon, we now just recently moved to Rhode Island! I am loving the opportunity to re-explore Providence and surrounding towns. There are so many new restaurants, local shops, cafes, and areas to explore. A few months back, Evan and I went on a cafe tour of Massachusetts. Every Sunday morning, we chose a new cafe to head to for coffee and maybe (definitely) a bakery treat. 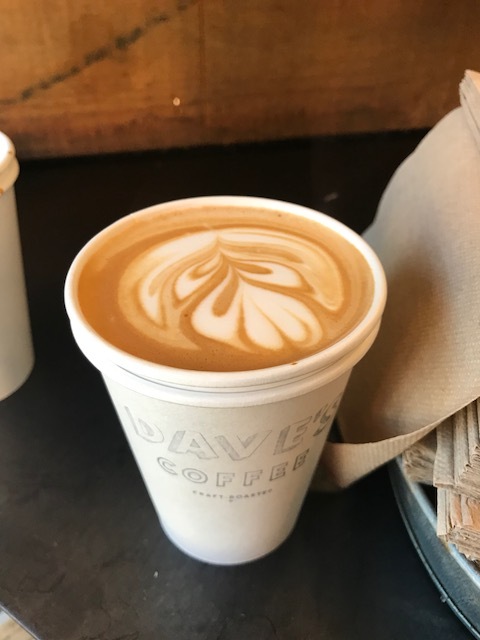 It was a missed opportunity to not capture that here on my Cuppa Charm – so I plan to take you along for the ride on my tour of Rhode Island. Of course, I am partial to the Ocean State. As my hometown, I have many places here that I love so very much. I will share those places, too, but this will mainly focus on places new to me as I enter this new chapter. I’ll start with a cafe I went to on a whim recently, Dave’s Coffee, on South Main Street in Providence. 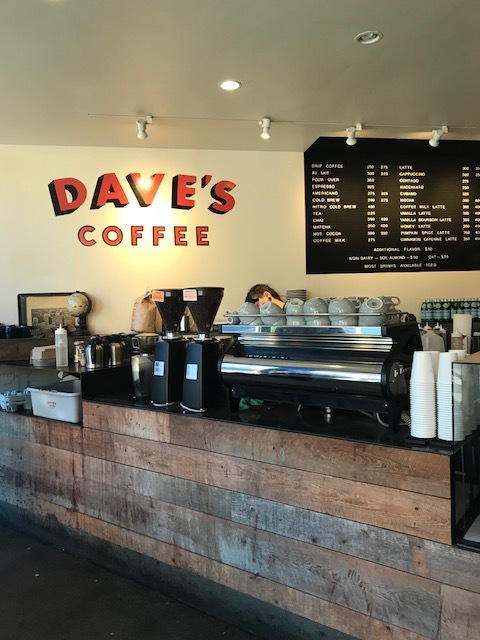 I stopped by Dave’s quickly one morning to pick up a coffee milk latte for me (I know, so Rhode Island), and a cortado for E.
I regretfully didn’t get any food – but they had homemade donuts, muffins, and other treats displayed, the trendy avocado toast, and their breakfast sandwiches sounded glorious. I am a sucker for a good breakfast sandwich, so I will surely be back soon to get my hands on one of those. Also – so I’ve heard – their daily scratch-made sea salt chocolate chip cookies sell out every day. Rhode Island, through and through. Love you.